LG looks like it is planning a renewed effort to crack the tablet market, after a report from Korea, the company’s home country, validated information about an upcoming device published by a Greek tech blog earlier this week. It’s difficult to be sure of the validity of leaks that originate from obscure blogs, and that was indeed the case when Techblog.gr revealed an apparent exclusive on LG’s upcoming ‘G Pad’ tablet — in an article written in Greek, no less. However, that rumor seems a little closer to reality after The Korea Herald cited sources who claim the first prototypes of the G Pad (which we hope is built with more innovation than was used to name it) are due to be produced in China next month. We’ve seen LG spill details of upcoming devices to Korean media before. The Chosun Ilbo published a report about the development of its first quad-core smartphone in July 2012, one month before the Optimus G Pro was unveiled, and on this occasion a new LG tablet has been rumored since at least May 2013. Back to the specifics of the report, the Herald, like Techblog.gr, claims the G Pad will pack an 8.3-inch display with a full-HD, 1920 x 1200 resolution. Both say it will be powered by a quad-core Snapdragon 800 processor and include 2GB of RAM. The device is expected to be formally announced at IFA, an event taking place in Berlin from September 6-11. There’s no mention of the operating system but, since the G Pad would be part of the rebranded ‘G’ series, it’s fair to assume it will be Android-based, just like the G2 smartphone that LG unveiled earlier this month. Indeed, LG has long been a key Android partner. 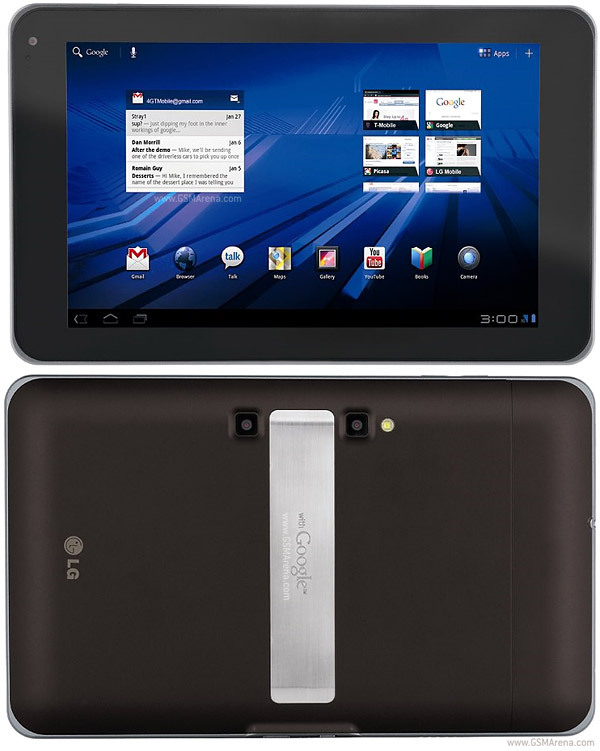 The Optimus Tab, LG’s previous tablet, was not a success. The sources tapped by the Herald claim LG is aiming to sell 100,000 G Pads per month — based on its production plans — but it has the capacity to double that figure if needed. LG’s previous foray into the world of tablets did not go well. The Optimus Pad was released in 2011, but struggled to compete with the likes of the iPad and Samsung’s Galaxy Tab range. Times have changed and, while the iPad is still seen as the leading brand, Android tablets account for a dominant 67 percent of shipments, according to the latest figures from Strategy Analytics. That indicates LG could have a better shot at success this time around, but it won’t be easy. The company can, however, take inspiration from its progress in the smartphone space. It sold a record 12.1 million smartphones in Q2 2013, leading IDC to rank the company third in the industry based on shipments during the quarter.